Ell Magazine is a publication concept that explores the contrast between populated urban areas that serve as canvases to the exciting world of street art, and abandoned, dilapidated sites that are able to stand alone as art themselves. The definition of “Ell” is “something added”, acknowledging the beauty, mystery, and excitement that street art and abandoned sites add to the urban world. You can flip through a full digital version of the magazine right here! 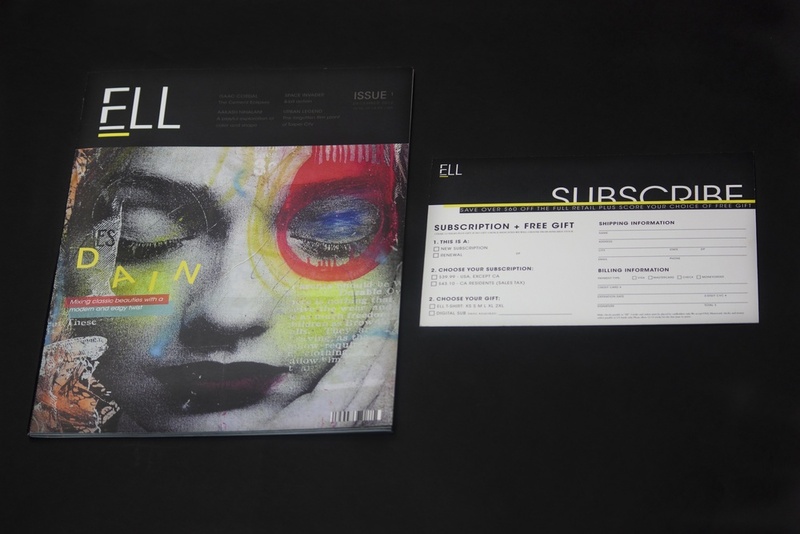 Ell Magazine was a Semi-Finalist project in the 2013 Adobe Design Achievement Awards.